Aston Martin Racing will have a front-row lock-out in the GTE AM class of tomorrow’s FIA World Endurance Championship (WEC) Six Hours of Shanghai after a close qualifying session that saw an incredible inter-team fight. The penultimate round of the 2015 FIA World Endurance Championship (WEC) takes place at the Shanghai International Circuit this weekend (1 November) and Aston Martin Racing has entered four V8 Vantage GTEs. Aston Martin Racing’s #98 Vantage GTE crew stood on the second step of the FIA World Endurance Championship (WEC) Six Hours of Fuji GTE Am podium this weekend, after an exciting race in changeable conditions. Aston Martin Racing heads to Fuji International Speedway in Japan this weekend for the sixth round of the FIA World Endurance Championship (WEC), the Six Hours of Fuji, and is looking to return to its pre-24 Hours of Le Mans success following recent Balance of Performance (BoP) readjustments. 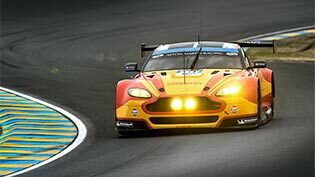 TRG-AMR, the North American partner team of Aston Martin Racing, is targeting two Tudor United Sports Car Championship (TUSCC) titles this weekend (2/3 October) at the world famous Petit Le Mans race at Road Atlanta. Aston Martin Racing returns to the USA this weekend for the fifth round of the FIA World Endurance Championship (WEC), the Six Hours of the Circuit of the Americas, and brings in Benny Simonsen (DN) and welcomes back Jonny Adam (GB). 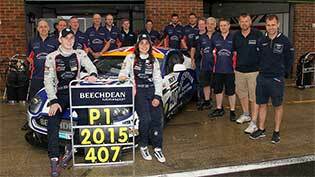 The Aston Martin Racing V12 Vantage GT3 of Beechdean AMR has won the 2015 British GT Championship drivers’ trophy at the final race of the season at Donington Park, to add to its V8 Vantage GT4 class victory secured in the penultimate round last month. Aston Martin Racing is upgrading its range of Vantage racing cars for 2016. Its three cars: the Vantage GTE, Vantage GT3 and Vantage GT4 feature a range of enhancements to improve their performance and durability. Aston Martin Racing has joined forces with Spirent Communications - the leading provider of verification, assessment, analytics, and device intelligence solutions - for two rounds of the 2015 FIA World Endurance Championship (WEC), while exploring opportunities for a longer-term technical partnership. Aston Martin Racing’s FIA World Endurance Championship (WEC) campaign continues this weekend at the inaugural Six Hours of Nürburgring and, alongside its regular five car driver line-up, works driver Jonny Adam (GB) will join in the #97 Vantage GTE. Aston Martin Racing partner team Beechdean AMR has retained the British GT Championship GT4 title at the penultimate round of the nine-race series with Aston Martin Evolution Academy drivers Ross Gunn (GB) and Jamie Chadwick (GB), in a weekend that also saw success for the marque in the leading GT3 class. For the first time in North American history, an Aston Martin race car sits on top of a major sportscar racing series in both the Team and Drivers Championships following the latest round of the Tudor United SportsCar Championship at Road America. 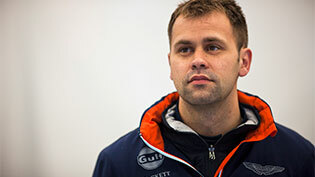 World-class sportscar driver Darren Turner (GB) has signed a three-year contract extension with Aston Martin Racing, further cementing the brand’s loyalty to the racing ace who has been with the team since its formation in 2004. The highly-anticipated Aston Martin Vulcan will attend the showpiece of the Blancpain Endurance Series, the TOTAL 24 Hours of Spa, this weekend (25 July) and will demonstrate its abilities as the ultimate track-only machine as it completes two flying laps of the world-famous circuit. At the halfway mark of the 24 Hours of Le Mans, Aston Martin Racing is leading both GTE classes.